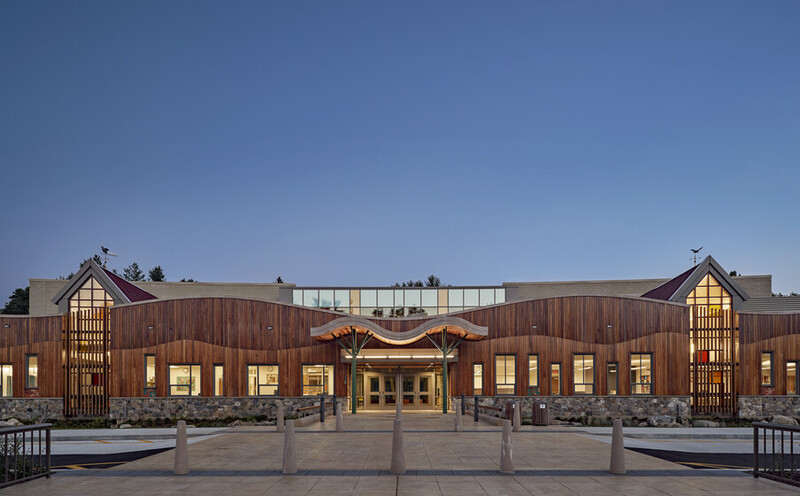 Atelier Ten identified and recommended sustainable and creative design strategies that maximize energy efficiency, reduce environmental impact, and enhance human health and experience in the new Sandy Hook Elementary School. 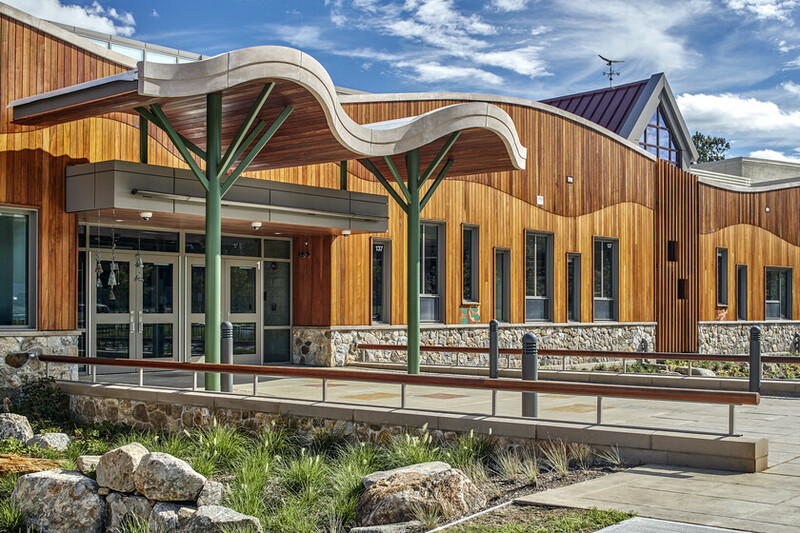 The new Sandy Hook Elementary School was designed to be a national model for the “School of the Future,” incorporating the most current and advanced thinking towards educational approaches, security, and high-performance design. 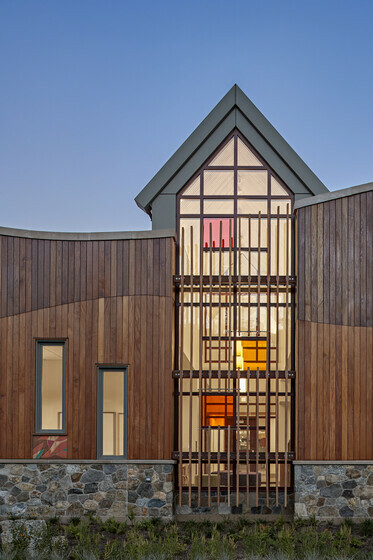 Atelier Ten worked collaboratively with the design team and the local community to create a healthy, safe, and engaging environment for students and teachers returning to the new school. 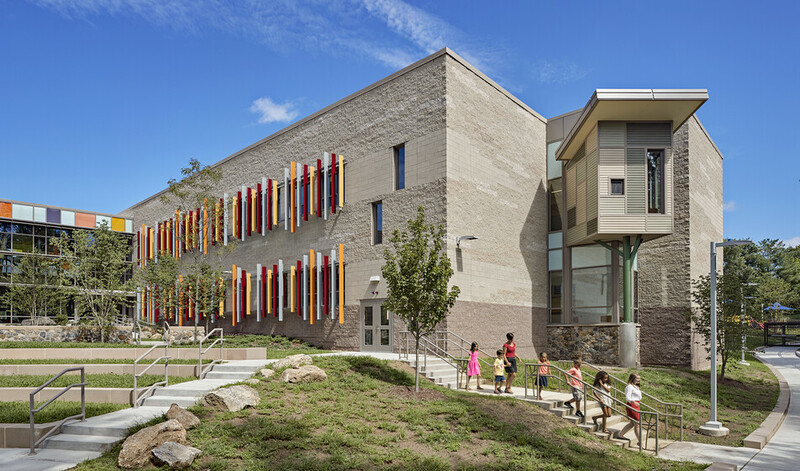 Sustainable strategies for the new school, which enabled the project to achieve 35.1% energy cost savings, include an optimized building envelope with well insulated wall and roof construction, high-performance glazing and curtain wall systems. 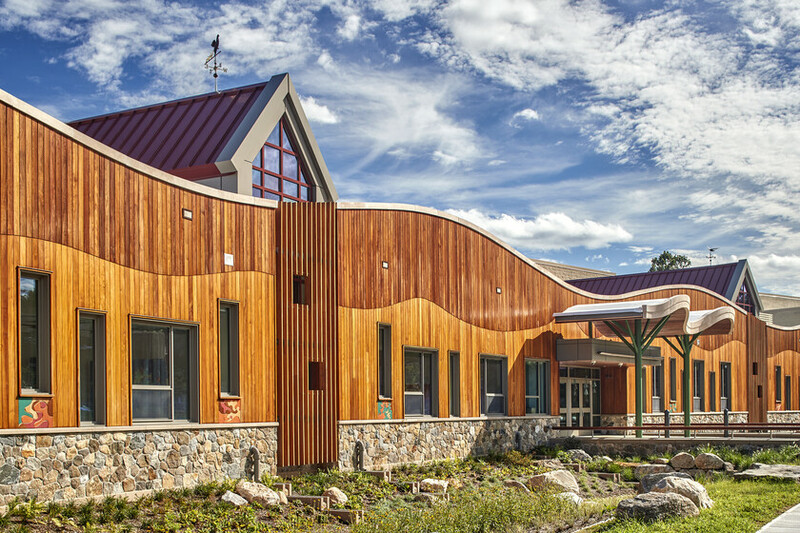 The building is conditioned by high-efficiency chillers and boilers, perimeter radiation systems, radiant floors in the Pre-K and Kindergarten, and offers demand-controlled ventilation for most spaces. 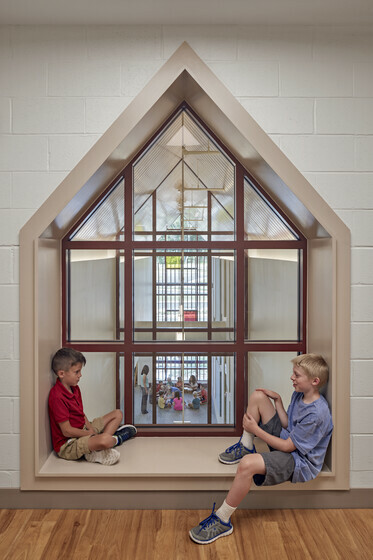 Interiors were carefully designed to incorporate biophilic attributes while reducing exposure of toxic elements thereby creating a healthy environment for the occupants. 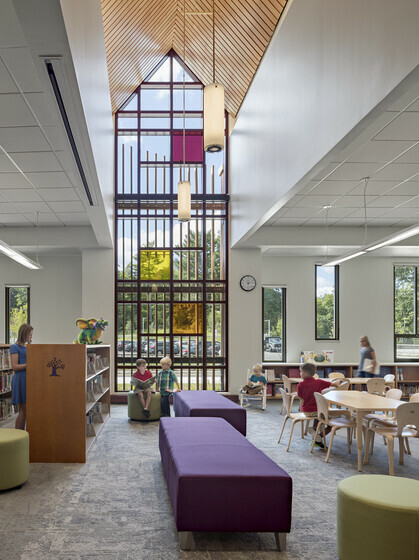 Lighting and daylighting were carefully designed to give a high quality, glare-free visual environment. 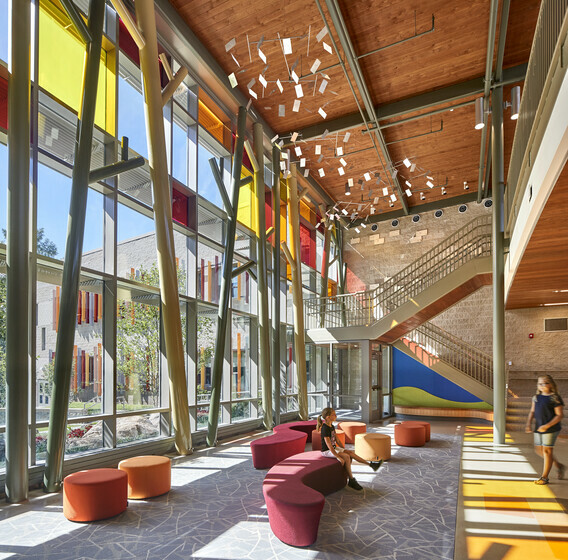 Light illuminates surrounding, student-made art that is woven throughout the school to emphasize a sense of community for returning students, staff, families, and visitors. 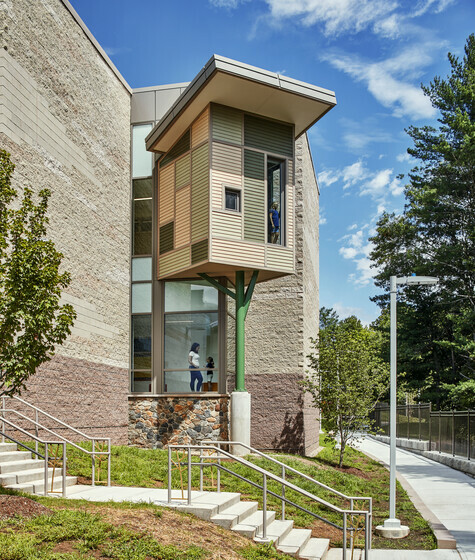 The vegetated open space exceeds that of the building footprint and collects, controls, and infiltrates stormwater while promoting biodiversity and replenishing wetlands.